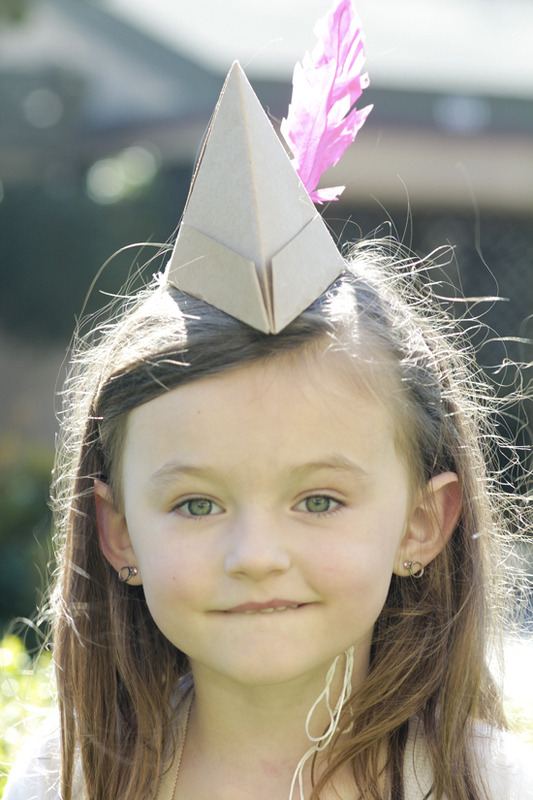 I've had several people ask about the little paper hats I made for Abby's party last year. 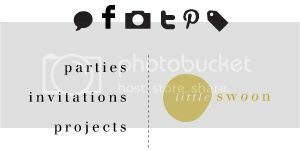 I thought I would put together a little tutorial to show you how to make your own. These are so easy and fun, there's no reason to wait for a party to make them for your little ones. 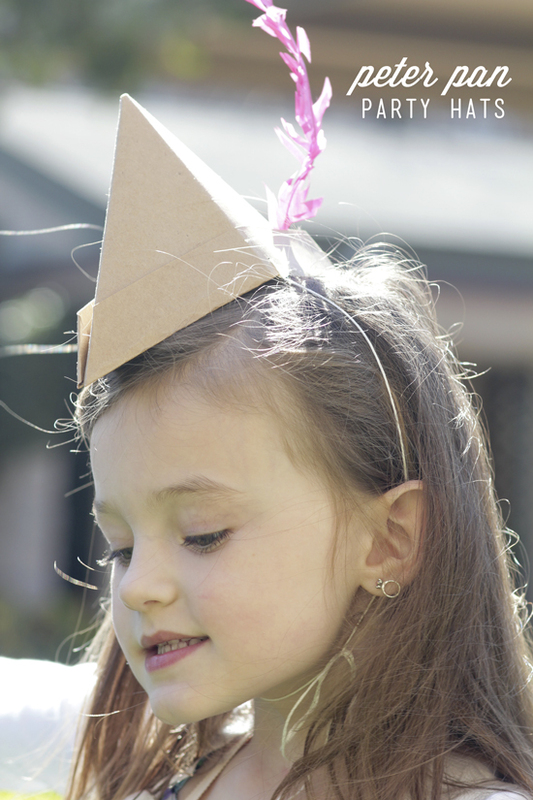 For the hats: I used a letter sized piece of kraft paper and this tutorial. I discovered the hat didn't stay on very well, so I punched a hole in each side of the hat (near the middle) and tied about 18" of embroidery floss to each side (you could also use twine or ribbon). You still may have trouble keeping these on the heads of active tots (like most party hats), so don't be surprised if they fall off once the party gets rolling. I haven't tried it, but I think if the hat was made with a larger piece of paper it might have more staying power. My favorite part of the hat is the feather. At the time of the party I was unable to find attractive red ribbons in my town so I decided to make my own. I think using a bunch of different bright colors on the feathers would be really cute! 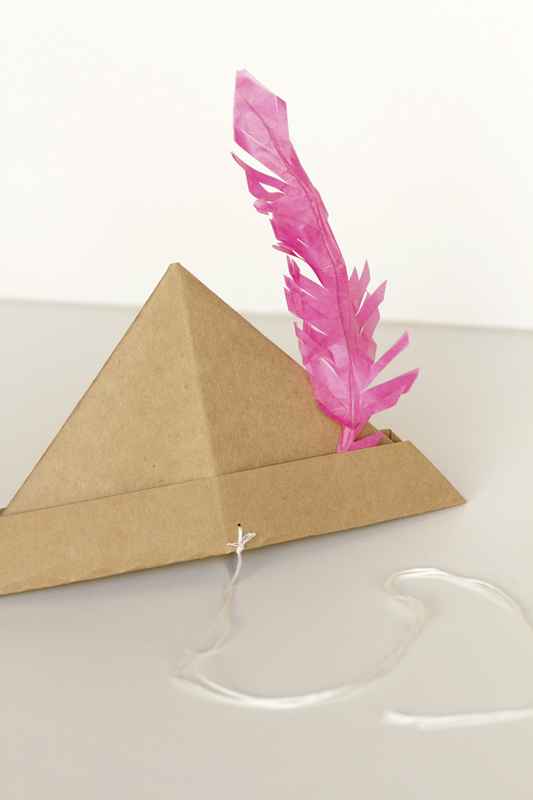 Using a glue stick, make a wide line of glue down the center of one of your feather shapes. Cut a piece of thin gauge wire about 1/2" longer than your feather and stick it as straight as you can down the center of your glue line. You can use white wire if you don't want it to show as much. 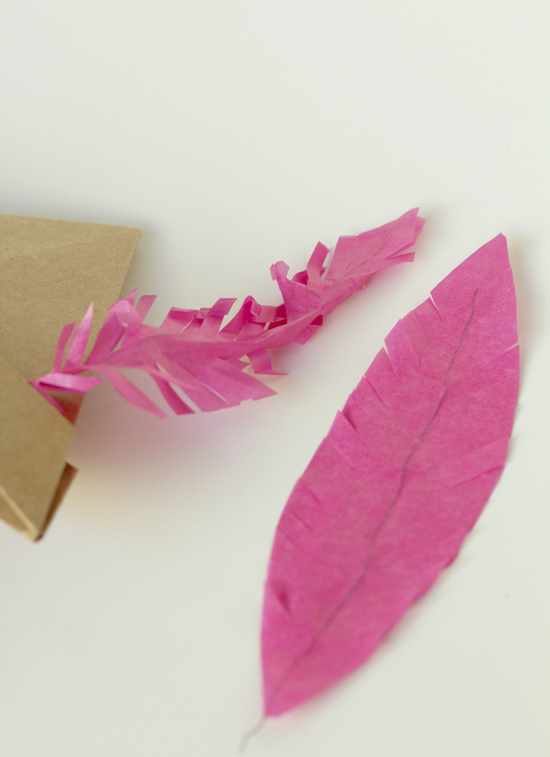 Stick your other feather shape on top and press into the glue to adhere. 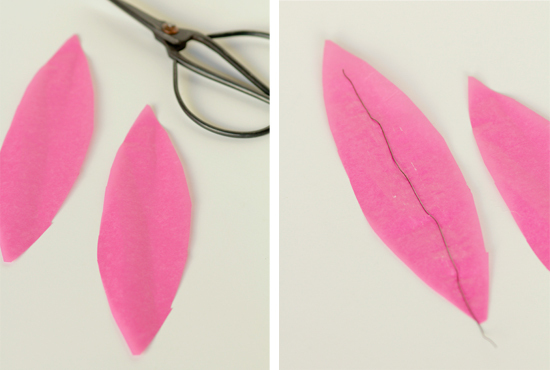 Use your scissors to cut diagonal lines into the sides of the feather. 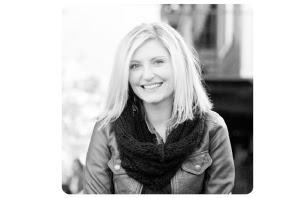 You can "rough up" the sides a little to achieve a more fringed look (like the one I made on the left) if you'd like. Use a small piece of double stick tape to adhere the wire hanging out of the feather to the inner brim of the hat, and you're done!